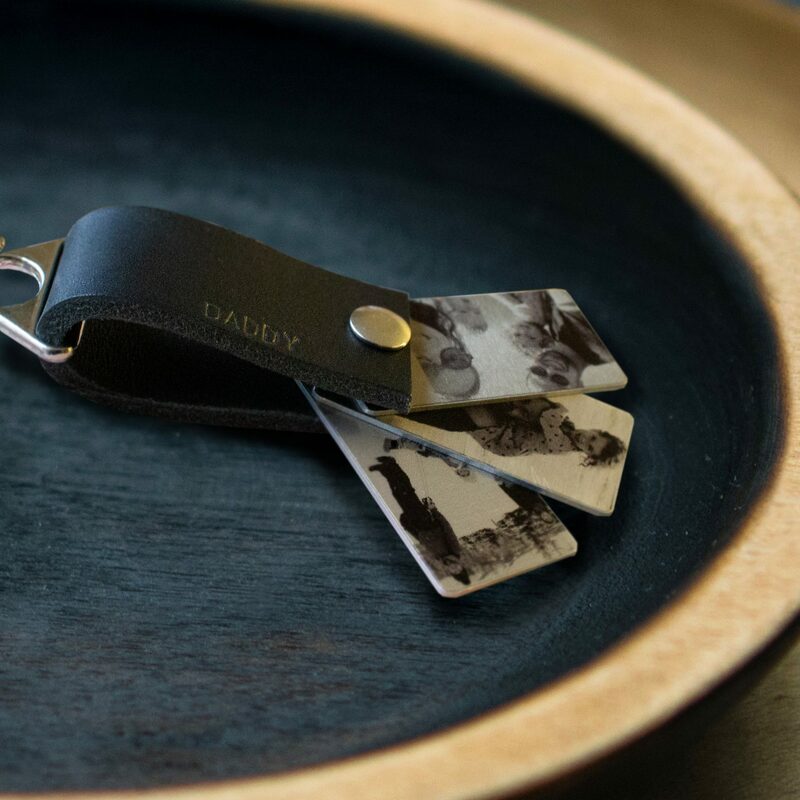 A stunning handmade leather key ring, with hand stamped lettering and personalised photos. The photo slides are movable and can slide in and out of the leather, keeping them safe when in transit. We use a lovely 4 mm thick leather which is cut to size from a roll and stamped by hand with a desired name or initials. Your photography is carefully handled by our skilled digital design team, who take their time to grey scale your images and find the best placement before it is printed to the aluminium slides by hand. The leather and slides are held together by a binding post, that can be loosened and more slides can be added in the future if desired. The key rings measure 8 cm including the chrome triangle and are approximately 2.5 cm thick. A perfect size to fit into a pocket or handbag. Every keyring comes with a black gift box and metal keyring loop.